In Ep. 033, Tom talks with Jessica Baguchinsky. 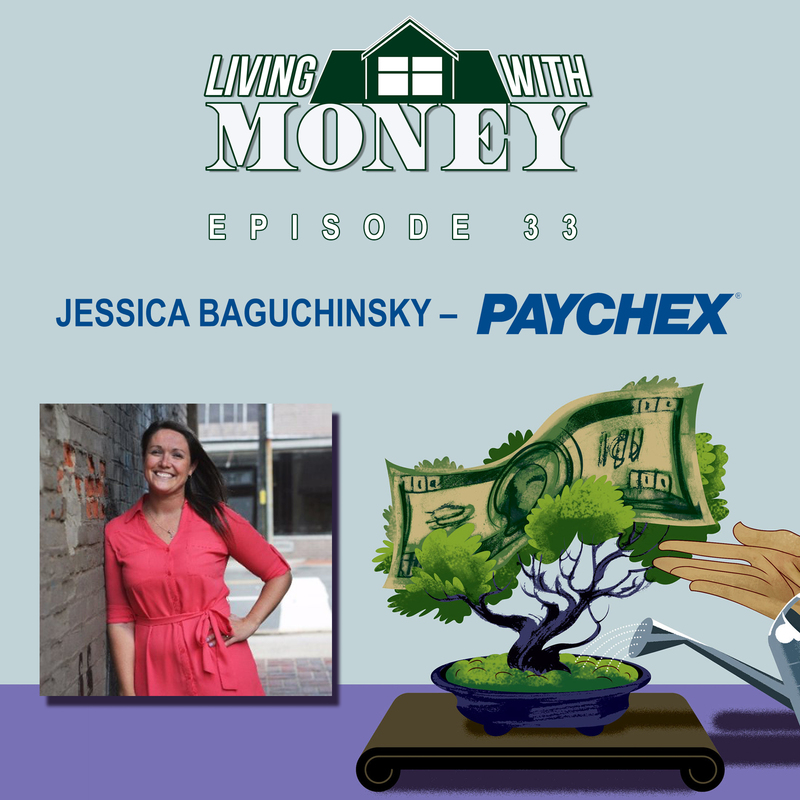 Jess is a Senior Sales Consultant for Paychex, and they discuss her inspiring story to lead her to success today. From teaching kids in Hawaii, to completely changing careers, to getting displaced during Hurricane Sandy, Jess has overcome A LOT of obstacles to climb the latter of success. For anyone interested in sales, or anyone struggling to figure out what they truly want to do in life this episode is for you! Tom: Hello, and welcome to the podcast. My guest today is Jessica Baguchinsky, better known by her friends as J. Bags. I invited you onto the podcast because I think you’ve got a pretty good story to tell. Hopefully, we can share it. The microphone is actually turned on this time. For our listeners, this is actually our second time through this, because we went through the entire podcast the first time without even realizing that the microphone was turned off. That was my fault. Let’s start. Fill us in on the J. Bags story. How did you get started, and just take us from the beginning. Jessica: Sure. I guess college. I grew up in New Jersey, went to the University of Delaware for college, and I graduated with a degree in education. It was a great four years. Definitely, I would say paved the way for the next chapter in my world. When I started college, studying abroad wasn’t really something that interested me. While I loved traveling, and had done some amazing trips with my family, it was not so much of a burning desire let’s say. But throughout some great experiences in college, I think it’s really shaped the path that my world has taken. Tom: One of the reasons why I invited Jess onto the podcast today is because, in my opinion, she is probably one of the best examples I’ve seen in the sales industry. She’s a superstar. She does a lot of things right, and it’s interesting how … Do you think sales people are born or made? Jessica: I think a little bit of both. I think my approach is I was sort of born into this. I was raised by a family of entrepreneurs and sales people, and I lived that world. Work hard, play hard, and manage your own schedule, and if you manage it well, you get to where you want to be. Tom: But when you came out of school, you didn’t go right into sales? Jessica: Not “sales”. I went into teaching, which is right up there. Tom: It’s sales, no matter what you call it. That’s great. How do you think that got you prepared for what you’re doing now? Jessica: I would say we each did it with about $2500 cash in our pocket, and luckily about halfway through we made a stop in Las Vegas, and had a little luck on the roulette table, so that got us through the second leg. Tom: Are you kidding? This is like out of the movies. Jessica: It showed us just what’s out there. How much is out there, and how really it’s yours for the taking. If you work hard toward something, you really can attain it. Tom: Also, probably gave you a pretty quick lesson on being resourceful. Jessica: Absolutely, just working with what you had, and surviving on minimums when you needed to. Jessica: This was third grade. Tom: Okay, so these are eight year old kids. Tom: It’s like working with stockbrokers. Jessica: I’ll tell you what, I attribute it to some of my success in my current position. I learned very early on if you can’t adapt, you’re not going to go very far. That position was a huge learning experience, an extremely rewarding experience. And yeah, I kind of learned just how to continue to bob and weave, and deal with what’s thrown at you, and don’t let it stop you, because that’s not an option. I finished my year teaching third in New Jersey, and I was fortunate enough to have an opportunity to spend some time in Hawaii. So I, through a friend, had a house-sitting opportunity. I jumped on it with my teaching degree in my back pocket, pretty certain that if that was where I was supposed to be, I would make it work. Tom: Let’s pause here for a second. Were you teaching in a public school system in New Jersey? Tom: And you gave that up? Tom: That’s something you don’t hear very often. Those jobs, once you get tenure, you’re in. Jessica: And the benefits of teaching are amazing, and I loved every minute of it, but it wasn’t where I was supposed to be at that time. Tom: Wasn’t lighting the fire? Jessica: No. It wasn’t. I’m grateful for the experience, and still have great friends from it. I’d rather open a position for someone who it was the right time to be there. I needed a little more adventure first. I hopped on a plane with a round-trip ticket, fairy certain I would only use the one leg, and that’s what happened. I was able to get my feet in the water through a house-sitting opportunity, and during those few weeks, got my paperwork set up with the Substitute Teaching Organization through the Department of Ed. I was able to find an apartment, which has fruited still, best friends to this day, so that’s pretty amazing. Everything was just sort of falling in line, so I stuck with it. Substitute taught for a few months, which was amazing. I was able to really kind of run the island, and I did everything from high-needs kindergarten to Phys ed and agriculture seniors in high school. I was orange and mango picking during gym class that one day, and I was in charge. But again, just all experiences that led me to where I am today. Through substitute teaching, I was offered a long-term position at a local high-school, just about five minutes from where I was living. I took the week, and at the end of that week, they asked me to stay for the remainder of the year. I said I would love to, but I’d rather come on as a contracted teacher if the position is available. Their jaw dropped, and their eyes opened wide, and they said, “You have your degree in teaching?” And I said, “I do.” I was filling out a contract by the end of that day, and I left Friday with a salary and benefits. Again, all just letting me know that was where I needed to be at the time. That turned into an amazing three years in Hawaii, just under maybe, and I was able to teach an amazing group of students. Meet an amazing group of families and parents, and their support systems. Building one of my own out there, really, and just a lot of amazing experiences. Tom: For the people that know Jess personally, if you don’t stop and actually get to know the backstory of this, you’d be amazed. Because a lot of people, in your line of work, you talk to everybody. I think a lot of people don’t know the whole story, so this helps put the picture in a little better focus. Also, I keep thinking about how do successful business owners, and successful sales people and executives get to be that way. A lot of times, it’s not necessarily from just pounding the phones. It’s from all the other things that you did that led you up to this point. Jessica: Like I said, I had an amazing run in Hawaii. Don’t get me wrong, it was not easy. It was hard work, and it’s expensive. Luckily I grew up in New Jersey, so it was somewhat comparable, not so much of a sticker shock, but it was tough. Again, opportunities kind of present themselves and solutions present themselves along the way, I think if you’re willing to make them work. I was fortunate enough to meet a woman who ran a local fragrance company, and needed help on the weekends. I was a fragrance model at Macy’s in Oahu for two and a half years. Tom: I know you pretty well, and I didn’t even know that. Jessica: Yep, I was peddling Terra Nova products, and Plumeria Lotions all over the Macy’s sale floor. Jessica: Again, still to this day, a very dear friend was running a tutoring company. I was fortunate enough to be able to work for her and make a little extra money, while still connecting with local kids and helping them out in arenas that they wouldn’t have. Tom: It sounds like things are going really well. Bring us all halfway around the world, and get us to New Jersey. I’m not connecting the dots. Help us out. Jessica: What happened? Things were falling into line perfectly, and it was amazing and all of a sudden, I kind of thought it looked like things were going to go in one direction, and I was going to continue my time on a different island, and as things do, the course changes. That was sort of what was happening, so I took a minute, and what I have learned, still to this day, is reflection and reassessment regularly is just so important. Although I thought it was kind of steady one way, it was looking like it wasn’t. I reassessed and I said, “Okay, what do I need to do to keep myself moving forward?” I know the type of life I want to be living, and I knew that I had to make a career change, to at least get those wheels in motion. I’ve sort of learned from my dad, when all else fails, sell more, so I knew I had to get into sales. What industry, I had no idea. What company, clueless. Where to even begin, really, I had no idea, but I knew it was back on the East Coast readjusting to sales. I said my alohas and again to this day, still have people I consider family out there. But I headed back to New Jersey, and my main focus was I have to get a position in sales. I knew the rest would come, but that’s where my efforts were. I came home, I enjoyed my family for a few. I enjoyed a holiday home, which I hadn’t had in a while. January 2nd I just started blasting my resumes out anywhere and anywhere I could. Everywhere and everywhere. Monster, CareerBuilder, all the sites. Tom: Oh that’s really funny how that happened. I got a call from Kim, and she said, “I have one more interview for you. If you don’t want this, you probably don’t want sales. So give it a shot. And it’s a long shot at that, because they’re looking for two to four years, B to B,” which again this is all foreign to me. She kind of schooled me on the whole sales process interview, which I didn’t even realize existed. You know what’s a trial close, I couldn’t tell you, but now I know. Tom: I think that was a trial close. Jessica: Yes, exactly. Long story short, I took the opportunity to interview with my current company, Paychex. I came home, and I said, “Okay, I have this interview scheduled for tomorrow,” and coincidentally, my dad was actually a client of the company, of Paychex. He said, “That’s unbelievable. They do my payroll. I don’t know what they’re like to work for, let’s check them out.” Did a little research, and he said the same thing. “If you want a position in sales, you think you want to try this, get this job.” I would say about six rounds of some pretty brutal interviews later, I walked out with a position, and that was ten years ago. Jessica: That’s kind of 5000 miles around the globe. Tom: Wow, really. I have a question for you. Tom: How many times in your first year or two did you think about quitting? Tom: But talk about that first year or two when you’re in sales, and everybody’s thinking about quitting. Is this really for me? What kept you going? Jessica: Get ‘er done. That’s it. All of a sudden, you’re back on the high, and it’s a great spot to be. Tom: Talk about some of the highs too, because things have really worked out pretty nicely for you over the last few years. You want to just kind of give us a little highlight reel? Jessica: Sure. I think my time at Paychex and some of the events over the decade personally and professionally have reiterated that blind faith in myself, and that notion that if you truly believe failure is not an option, you’re going to get through it. It’s just about setting that scene where you want. That’s where I start. Where do I want to be? Jessica: At the end of this push, where do I want to be? And then kind of back out from there. Okay, now what do I need to do to make that happen? Tom: How far back do you go? I have to make this many calls a month, or a week, or even a day? What is it? It’s just me and you talking, sitting around here at a table talking, but for those listening, Jess has pages of notes here, and something else that I’ve seen with her every single time I’ve ever seen her, that notebook. You want to just talk about some of the daily things you do, and some of the tools you use? Some of the really basic stuff, not high-tech, but things that you do, that I think a lot of people miss out on. Jessica: I’m a big believer and a big rely-er on pen and paper. I like to hold it. I like to write it. I think it helps me process what’s going on, and remember, and just be on top of my game. I’ve tried implementing to-do lists on the phone, and Google Docs and these are all great tools, and I know I need to start utilizing them more. But when it comes down to it, I just find there’s a simple equation to get to success. There’s been successful sales people for decades and decades. Long before iPhones and Outlook. It’s funny, when my parents sold their house a few years ago, we were packing up the garage, and my dad found a few boxes of when he first graduated college, and got into his first sales position. He’s got boxes of notebooks and it’s unbelievable, because we never talked about that. I open them, and they’re almost mirrors of mine. It’s interesting. It’s interesting. What’s a regular week like for you? Start us out on Sunday night or Monday morning, and walk us through. Jessica: Pretty much as far as I can remember, time-management is not one of my greatest strengths. The less I have to do, the worse it is. I just find I really need to keep myself busy, and I enjoy it too. I enjoy being involved in a lot of things. One of my regular challenges, I think, is time-management and consistency. What I’ve really tried to focus on as I’ve grown in this position, is what works and doing more of it. You really have to be careful with where you spend your time, and what you spend it doing. It’s got to be worth it for everyone. I’ve really tried getting myself into a routine. That includes your basic administrative, and email management, and voicemail catch-up, and now text message, it’s one more thing to check, but it’s a form of communication my clients use, so I do to. That’s it. I think first and foremost I try to end each day with at least somewhat of a plan for the next, because if you wake up without any idea, you’ve wasted half your day before you realize where you’re going. Jessica: I’m guilty of it. I’ve done it, and I’m sure I’ll do it again. But I really try. I’ve got too many things to do now to let things drop. First and foremost, yeah, just kind of knowing what I’m going to do, and usually that’s the administrative things. Wake up, have a cup of coffee, get on my email, respond to anything that’s time-sensitive. Usually I’ve probably got, hopefully two to three meetings scheduled for the day, and then whatever other follow-up. Obviously in any sales position, there’s a process, so you’ve got to allot time. It’s not just that face to face meeting, it’s everything before and after. Tom: A lot of sales people will do things like they’ll advertise in the paper, or they’ll have seminars, or they’ll do big mailing campaigns, or they’ll do some kind of way to just drum up the business. But none of that has really worked with you. Jessica: Yeah. They’re all added factors I’m sure, and every bit of energy you throw out there helps, but I would say my strongest way to business, or source of business would be my networking. The reason I got this job in the first place, and my favorite part of it is that I can talk to people. I can figure out how to relate to them, and I enjoy it. I hope to think I’m the furthest thing from, and I hate to use the example, but a used-car salesman. I don’t want to be pushy, because I don’t like getting pushed. Tom: What’s it going to take to get you into this car today? Jessica: Press hard, five copies. My networking, when I first started with Paychex, it was probably the second thing I did. The first thing I did was went to my office, and just to hit the phones with a stack of names that they gave me, and the second thing I did was I joined a networking group in my territory. Which, was probably the best thing I could have done. Not only did it help me just learn my product, and really how to present it in so many different circumstances and situations, but I got out in the community, and my company came into the game for the small-business owner. Who should I be surrounding myself with, but the small-business owner, and everyone that they work with? Their accountant, their banker, their insurance agent. I try to build a team, a connection with everyone. Tom: Let’s talk about that, because I don’t have a long commute to work, but I flip on the radio, and I hear everybody is now offering payroll services. Everybody it seems. The first thing that pops into my mind, is why does a small-business owner need payroll if they’ve only got a couple of people working there? And why is everyone getting into this business? Jessica: And you’re right, it’s everywhere. I think one of my biggest frustrations and hurdles in this job is getting people to see the value and really overcoming the under-appreciation of a payroll service, and a good payroll service. When you sit and look at it, one, payroll is probably one of, if not your biggest expense, and your most important, because if you don’t have employees, what’s getting done? You’re not doing it all on your own. It’s just not an option, and it’s not going to be done well. Why would you not be sure that you are handling that as best you can? I think what also a lot of people don’t realize, is everything starts with that payroll. You’re a small business owner. You’re finally to the point where you can justify hiring someone and paying them out of your pocket to do things that you probably could be doing, but should you be? Is that where your time should be spent? Tom: That’s probably one of the things that I learned pretty early on with my business, was, this payroll stuff, I could probably do this on my own. Jessica: It’s plug and play. It’s math. Tom: Right. But, it’s remembering to stop on the 15th of the month and make sure that the checks are written, and the taxes are where they’re supposed to be, and honestly I don’t have time for that. Jessica: And crossing your fingers that they’re done right. Jessica: I say, that’s what the specialist’s for. Send it over. Jessica: But that’s why you’re with the company. And that’s why you’re with a company who’s been in business for 45 years, doing the same thing, the leader in the industry. Three-billion dollars for a lack of better terms, a little commercial. We’re who you should be with. 85% of our clients, I think are under 20 employees. We handle payrolls up to I think seven, eight thousand well, but it’s just again a matter of educating the business owner. Tom: Yeah, I know that there was a situation probably about seven or eight years ago where there was some new payroll company that was starting up. They were advertising like crazy, but apparently they were not sending in the withholding taxes, or they were doing something wrong. And I asked you, “What’s up with that company?” And they just disappeared, overnight. Jessica: Shut their doors. One day people just showed up for work, and there was no work left. Jessica: It’s scary. You think you’re signing up for one thing, and things are being handled, but all of a sudden … I have clients that were directly affected by that. I have a fairly large client who was with a company, and three-quarters worth of the year, assuming that the taxes that this company is pulling are being paid, and all of a sudden the notices start flowing in. They haven’t received a return or a tax payment in over a year. Jessica: There’s no one to call, they’re gone. They’re out. Again, I think part of the reason I have had the success that I have at Paychex is growing up, one, as an older sister, I think. I kind of just had that educator role, if you will? And then going into the world of teaching, and really having to be able to relay messages so that people could understand. Differentiation is huge. Tom: Yeah, I think that just listening to what you’re saying, is that even though you’re in sales, it really is educating, and it really is educating on a level that people can absorb, and people can understand. Jessica: Figuring out how you need to deliver your message so that it is most clearly received is a huge strength. If you have that you’re one step ahead. Tom: Let’s take a minute, and I’ll throw you a curve ball. What does a payroll superstar do when her house is under water? You want to talk about that? Jessica: Sure. I’m assuming you’re referring to Hurricane Sandy, which, myself and my family, we were hit. Listen, we are all here to tell the tale, and back in new and improved homes, and it’s one of those things where hurdles are going to be thrown at you. It’s just how big is the hurdle, and what do you need to do to get over it? Failure’s not an option, again, and you just have to pull it from wherever you can to have that blind faith. Okay you’re going to get through it, but how? Tom: How long were you displaced? I’m sure you’re used to hearing that phrase? Jessica: Yeah. The most frustrating thing I think is that the “damage” to my home wasn’t even that bad, but it was just perfectly terrible. Long story short, my parents and I live about a half a mile away from each other, so during the storm, we were both affected. Their house was completely destroyed. Mine, you would think from the looks was okay, however, once you open that can of worms forget it. We realized, okay, this is a lot worse. I was fortunate enough to have had flood insurance. I was able to repair my home, because at that point, no one knew what was happening. This was the first time our state had gone through anything like this as far back as I can remember, and first time to me as a homeowner. Jessica: Really, truly. We were there for a few months, all the while our neighbor was working on fixing up another home a little closer to our houses that we were able to move into. All the while, repairing my home, because all I knew was we had to get a house done. We needed a home. That was mine, because my parents’ was not an option. We got mine repaired, we all moved in, and we had a really fun run of it. We were the Waltons of Hurricane Sandy, we call ourselves. It was myself, my mom, my dad, my brother, my sister, a couple other stragglers along the way, and my dog. Jessica: Exactly. ‘Night Stan. ‘Night Elizabeth. ‘Night Jess. We had a good time, but you know what? We had family dinners, and a lot of laughs through the pain. We’re all stronger for it. Anyway, the plan was get back into the house and next step was get my parents’ house rebuilt. We did that, you think everything is maybe about to get back to normal, and then you get hit with, oh but now you need to raise your house, because all of the flood tables have changed and you’re under, so your home is worth nothing, and your flood insurance is going to go through the roof, or raise it. Okay, how do you do that? You hit the computer, and start making calls and figuring out how to do it, and that’s what I did. I was fortunate enough to apply and receive a grant that obviously covered the cost of the raise, so that process is finally wrapping up. That was probably about a year to obtain it, and then just your normal struggles of contractor abandonment, and busted pipes and all that fun stuff. Jessica: But again, just one more thing to get through. One more thing I can say I did. Jessica: Displaced. I call it the gypsy life, okay? Thank goodness for my little Volkswagen. That’s all I can say. She was as much of a tent and a storage unit as a car, and a mobile office. But you just adapt, you know? You deal with what you have, and you use what you can. Yeah, I shifted my focus to my business, and that’s where I saw the results. I’ve just been trying to keep that ball rolling. I learned a lot during that experience, just about how far I can be pushed, and how to just utilize the resources around you and just set a goal and hit it. Little goals, if that’s what it’s going to be. You know? Tom: Sometimes it’s baby steps. Tom: You know what? They lead to much bigger things. Tom: If you were coaching someone who was getting into this business, recent college grad thinking about getting into payroll sales, or sales in general, what kind of advice would you give them? Jessica: I think I would start with this complete cliché. Why? What’s your why? Why are you doing this? What’s your goal? I mentioned earlier, I had joined a local networking group when I first started. Every few months you got to be a featured speaker, and they had a membership profile that you filled out upon joining. One of the questions on there was … well two. One was “What’s your key to success?” And the other was, “What’s your burning desire?” That was a tough question for me, because I have a lot of desires, and a lot of wants, and a lot of goals, and pipe dreams if you will. But slowly but surely, they’re all becoming a reality. My key to success then and always is, one of them at least, fake it til you make it. You gotta just act like you know what you’re doing. Because all of a sudden you will, if you should. As far as burning desire, I kind of just went for real big picture, and that is to own a home in every place I love to travel. I remember some of the scoffs that I got. “Oh here’s this 25-year-old, okay, yeah, just go ahead, buy whatever you want all over the world.” And I said, “I’m not gonna just walk out and do it, but that’s kind of my ultimate big picture, and things shift along the way, and paths kind of break, and left and right. But ultimately, every day is just working towards that big picture.” That’s still it, and it’s slowly but surely, again, becoming a reality. Tom: Great. Thank you very much for joining us today. Jessica: Thank you for having me. I really appreciate it.